The world today offers modern conveniences that seemingly replace many things we’re used to embracing, including that of TV antennas. Back in the day, the antenna was the only option. Today, people get to pick cable and satellite TV over it. However, there still are those who stick to TV antenna installation, knowing that they get perks that are not found in those modern conveniences we talked about. If you are intrigued about the prospect of going back to the old days of antennas, then you should continue reading this article that details the benefits of traditional TV viewing. 1 – You enjoy free subscription all the way. If your goal is to save money and to lessen your monthly bills, installing a TV antenna can help you with that since it does not require any monthly subscription fees. 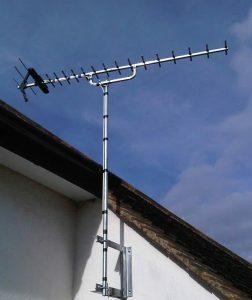 You only need to buy an antenna itself and hire a professional to help with its installation and nothing else. The antenna’s job by default is to receive free TV so you will no longer need to pay even a single cent to watch your favourite television shows in a clear view, unlike cables and satellites that demand subscription fees. Many Australians are not aware of this benefit since they believe that it is old technology and it doesn’t fit the modern world today without knowing how useful it is most especially when we talk about savings. 2- You may even get channels not available in both cable and satellite TV. If we talk about the number of channels you can access, no doubt, subscription TV such as satellite will win over free TV. However, numerous broadcast stations have a sub-station that a subscription TV doesn’t have it available. It would be frustrating most especially if you love to watch the show. Gladly, you can receive these channels with tv antenna installation. Imagine how great it is to have exclusive access to your favourite show which is not available in subscription TV for free, undeniably, you will surely love it. 3 – Get access to HDTV, too. Another benefit of a TV antenna installation that will make you like it more is the better resolutions it offers compared to cables and TV satellites. Antennas receive signals straight from the broadcasting stations. As a result, you get uncompressed premium quality TV viewing which is unsurpassed by subscription TV. With TV antennas, you will enjoy watching your favourite TV programs more in high definition. 4 – TV antennas offer the best reception. Your cable and satellite will most likely fail to give you the channels you want during a storm since it will have trouble to receive receptions properly. Fortunately, an antenna can stand any types of weather. It can still catch excellent reception despite heavy storms.